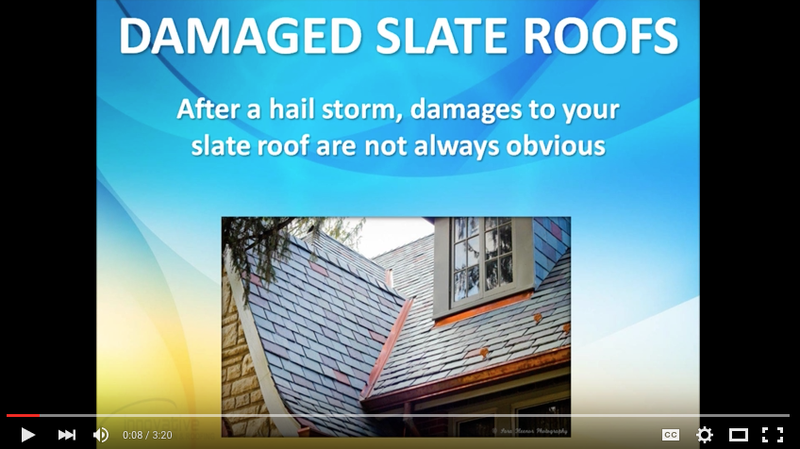 After a hail storm, damage to your slate roof may not always be obvious. It’s always a good idea to get a professional inspection to see the extent of damage. Your roof may not be damaged at all. Mother nature is unpredictable and it’s amazing how a house on one side of the street can sustain significant damage, while on the other side of the street have minimal hail damage. A close-up inspection will reveal the density of hail damage on your roof, which determines if your roof qualifies for full replacement.